Green Energy: How Does an Off Grid Solar System Work? Home/Green Energy, Solar Panels/How Does an off Grid Solar System Work? How Does an off Grid Solar System Work? Are you wondering just how does an off grid solar system work? Before we can explain that let’s talk about green energy. Green energy and alternate power systems have been around for many years now. They have gradually become more effective and more efficient. There are several different ways of making green energy. From solar power, to wind power, to water, and even hybrid systems. The most popular of these types is solar power that uses a panel to collect the sun’s light and convert the UV rays into sustainable energy. Wind turbines are another great way to create green energy that generates electricity from the movement of the wind. This is a very simple way of explaining these types of energy. What Is an off Grid Solar System? 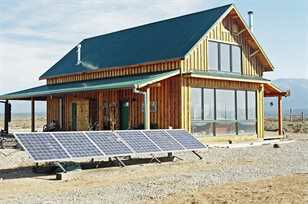 An off grid solar system uses the basic principles of solar power. When we say this, we simply mean that with this system there are panels that are used to collect the sun’s energy. Once the initial energy is collected it is then sent to a solar inverter which then sends the power to a battery inverter. From there it will use energy to power electronics that are in your home. In the end, whatever green energy is created and is not used goes to the battery bank. This is a personal battery that saves power for the home to use at night or on days that are cloudy and overcast. The main difference between an on grid and an off grid solar system design is just how it sounds like in the name. The off grid systems rely on a battery to save all the power created just for that one household or building. An on grid solar system is the opposite. 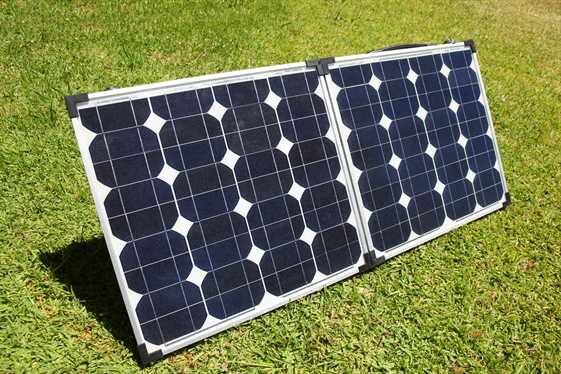 Any power that is created by that home or buildings solar panels is sent to an electricity grid where anyone who is also connected to that same grid can use that energy. This can be a good thing to have in cases where there is no solar energy being created for long periods of time. For example, if you live somewhere that has a long rainy season in which you don’t receive sunlight for a long time. You can still use green energy but share it with a network of people who have sun year round to help keep your electricity going. Many people choose to use a hybrid design that is essentially a tie between an on grid and an off grid system. This can be beneficial by using your own battery backup during standard situations when there is no sunlight, like at night or on rainy days. Then only during times of emergency, you can use power from the grid. This can also benefit others. If you live in a very sunny area, once your battery is completely charged any additional energy that your system is creating will be sent to the grid. Then others can benefit from the excess power that your solar panels are creating. This way no energy is being wasted. So How Does an off Grid Solar System Work? Now that we’ve answered your question, “how does an off grid solar system work“, you will be better informed to make a decision on which solar system you should use. Learn more about these systems and which would be the best fit for your home or building by calling Powertec Solar today for more information.